In conjunction with Colne Valley Lions Club, Stadium Runners are pleased to announce that we will be hosting the Marsden 10 Mile Run on Sunday 9th June 2019. 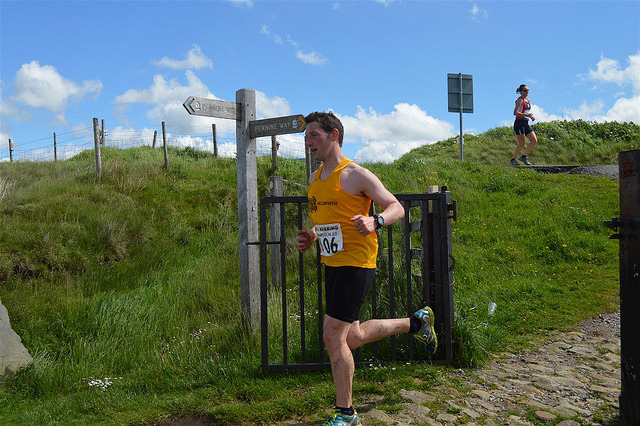 The Marsden 10 is run on a circular route taking in fantastic scenery as it climbs up to Wessenden and back into Marsden with a quick finish. The route is a mix of trail ( 8 miles) and road (2miles). Online Entries are now open and close on Monday 3rd June after 2pm! Postal entries can be made using the form here. Entries will cost £15 for affiliated and £17 for unaffiliated runners. All pre-entries will be awarded a special sheep themed momento. There will be a free buffet at the race HQ at the end of the race for all runners. Any proceeds will go to the Lions Charities and the Holme Valley Mountain Rescue.